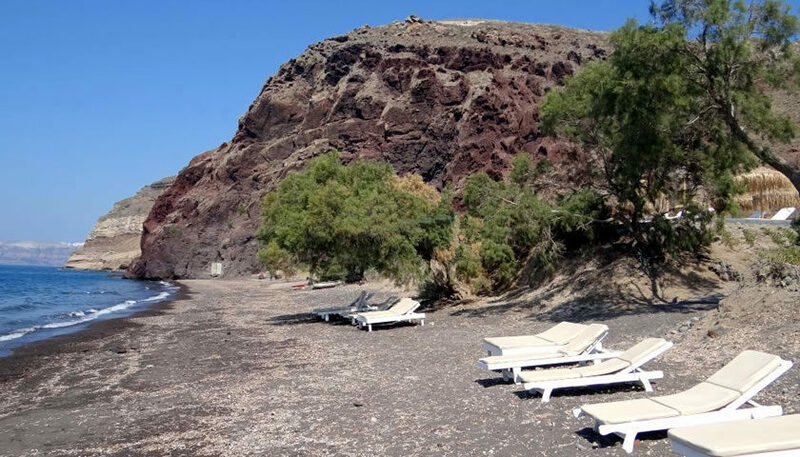 Gialos beach is located close to the west end of Santorini, at Akrotiri area. It is in the caldera side and offers views to the volcano, to caldera villages and to Thirasia island. 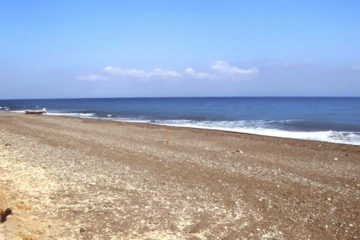 The beach is covered by black sand and some pebbles and it is surrounded by red rocks. A beach bar and restaurant, named “The Beach” that has recently opened provides comfortable sunbeds and umbrellas. You can also have a drink or a meal by the sea enjoying the magnificent view. 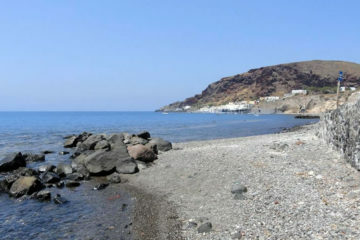 The beach is located about 13km from Fira and you can reach it by car. 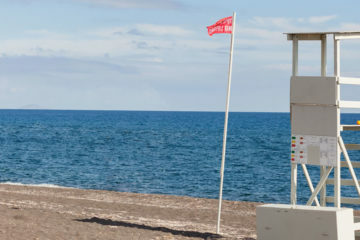 To get there you have to follow the main road that leads from Akrotiri to the lighthouse. At about 3.5km after the turn to the lighthouse (Faros), you have to follow a dirt road, on your right, that leads to the beach after 500m.